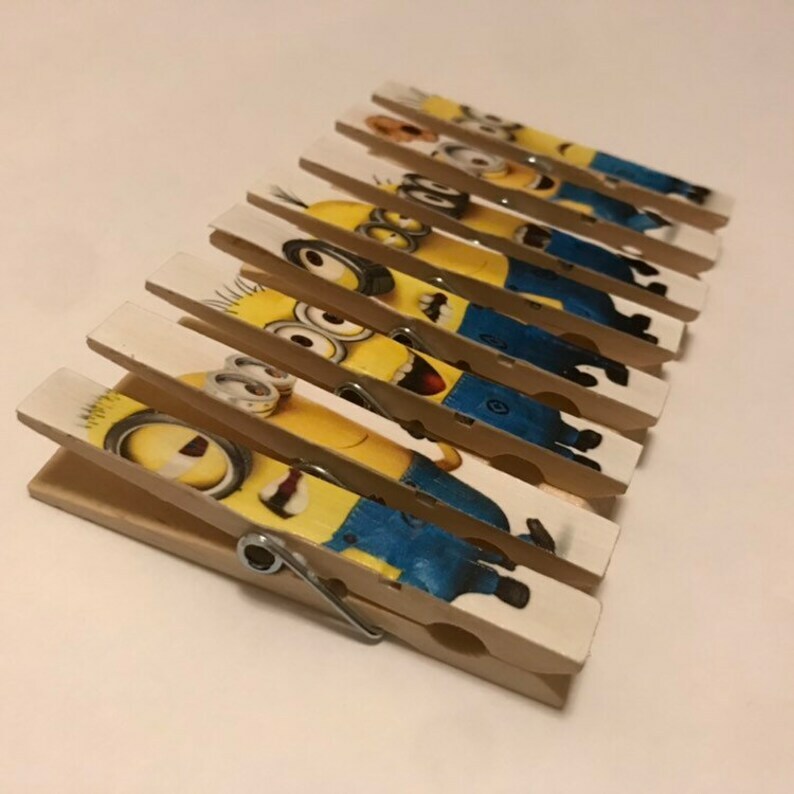 8 Clothespin magnet clips featuring Minions designs for favors, gifts, prizes or games featuring the various characters pictured. These also can be made without magnets if you prefer. 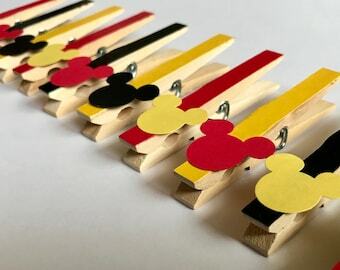 Each clothespin in this SET OF 8 measures approx. 3 1/4" tall x 1/2" wide.